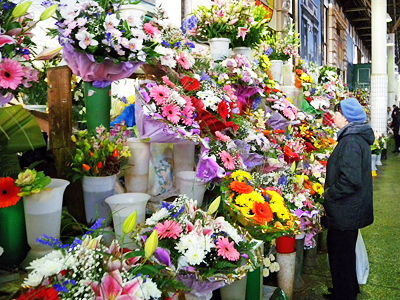 Tax increases are hitting Russian flowers sellers, with imported flowers being subject to tax hikes as customs tries to clamp down on tax evasion, and end consumers likely to bear the extra cost. The Russian flower market is one sectors which was not strongly affected by the economic downturn and consumers holding off on reaching into their pockets.Russians rank amongst the worlds biggest spenders on flowers, almost all imported, and a range of days throughout the year means there is rarely a good excuse for buying flowers far away – be it womens day, birthdays, work greetings and seasonal holidays.With the festive season upon us, you would think flower sellers on the streets of Moscow would be all smiles at the thought of another busy period before taking their New Year break. But a recent tax increase of up to 50% on imported flowers has trimmed the bloom with Olga Golubeva procurement manager at Trade House Flores De America, saying retailers could be hurt. Customs Broker, Sergey Ivanov, says customs calculates tax payments according to the declared invoice cost of goods. Different flower origins and types including quality and size have different tariffs and some wholesalers use specific ways to declare a lower cost.He sees the move as focused on clamping down on tax minimization, but says end consumers will feel the pinch. The increased taxes will add approximately 25-30 roubles to the retail price of roses said David Aranzazu head of the transport department at Flex. Despite the high profits of the flower business it is also one of the most risky retail businesses with flowers highly perishable and having a short shelf life.Victoria Kuzmicheva, Marketing Director at 7Flowers says the additional uncertainty also adds that a sometimes precarious existence isn’t made easier by a range of additional costs.